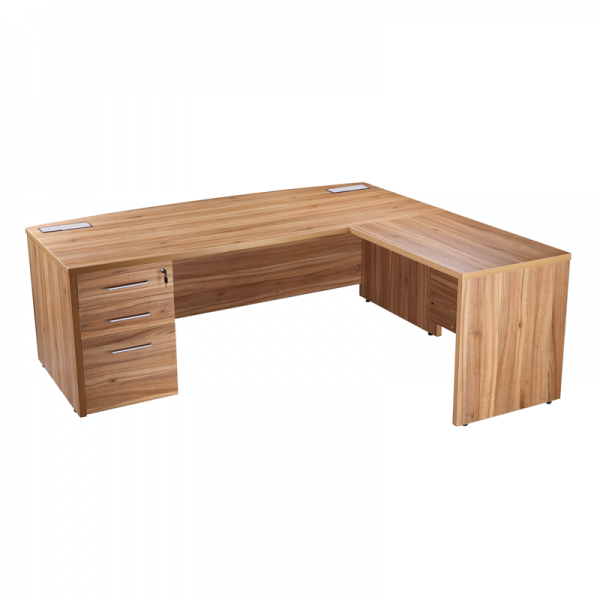 Impress your clients with the Executive Return Desk in American Walnut. 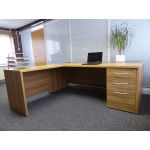 Finished in an American walnut effect; it has a full modesty panel for an extra professional touch. 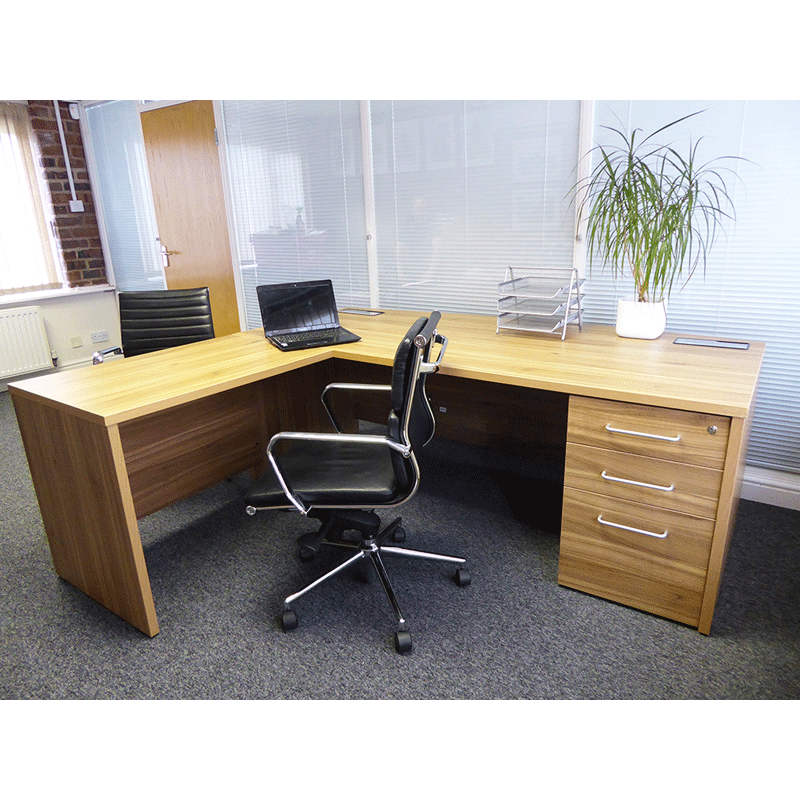 The image shows the executive desk and return desk together, creating additional workspace. Take a look at the Executive Desk in American Walnut. 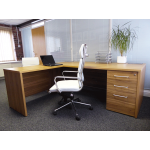 Discover the perfect way to get organised in the office or at an exhibition, with the Maple Rad..